After at least one workspace has been created, the home screen will now have a list of workspaces for you to choose from. 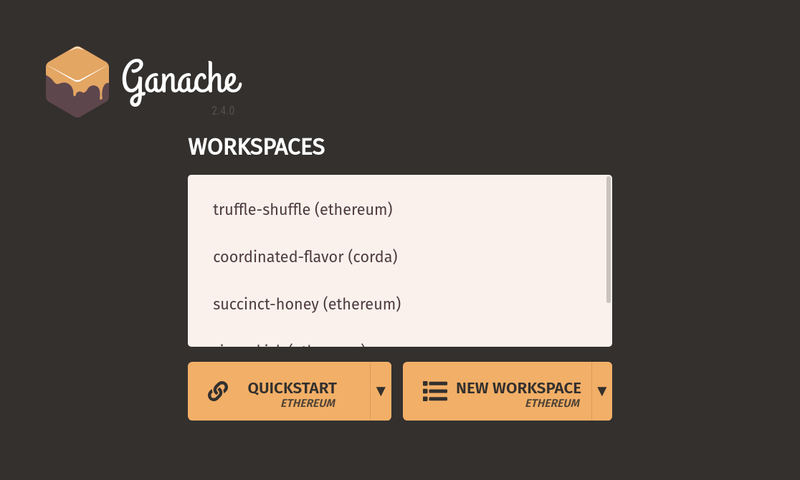 You can scroll through the list to find the desired workspace, and then load the workspace by clicking its name. You will be taken to the accounts page. You'll notice that the blockchain state picked up from where you left off (i.e. mnemonic, accounts, associated balances, block height, transactions, etc. ).